My new friend Carrie, from Vancouver, British Columbia. When all is said and done, the moments of our lives are wrapped in “relationship” whether that momentary connection is with another person, a thing, a thought, a whatever. Something about the ukulele builds and maintains relationships, communities, even. 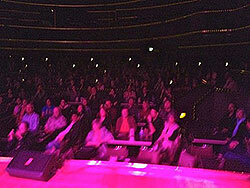 This extraordinary “coming together” was abundantly and joyfully evident at the Reno Ukulele Festival. So please relive these memories with me as we revisit the people! Let me explain. In this picture I am the “person” on the right. Pointing at the zillion-dollar Lexus sedan which is just out of camera shot, as they tell me I might win it. Yes, welcome to Fantasyland? Oh and the nice lady on the left, in gray, completely in gray, is employed by the Cirque du Soleil to entertain and charm the audience before we are ushered into the Grand Chapiteau. That’s “tent” to the rest of us. Of course the Cirque du Soleil is a wonder of sights and sounds and bodies that bend and fly. The flying part I get, thanks to the cadre of black-garbed tech guys who work the pulleys, but all that body bending? As one act follows another I hear a familiar mantra ringing in my head “how the hell do they do that?” This particular show, OVO, embraces the world of bugs, so there are a lot of insect-like movements on stage, but one in particular grabs my attention because I’ve actually tried to do it myself! 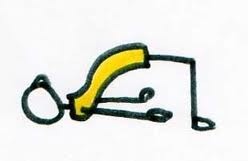 in real life, this what MY bridge pose looks like. Midway through the show this lithe young lady appears on stage, dressed elegantly as a red crawly bug. 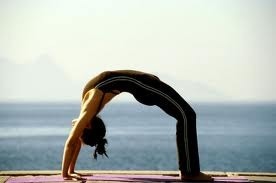 I’m not sure if she has bones in her spine because now she is bending backwards into the bridge pose as if it is normal. As if this is how she gets her money at the ATM. And then she crawls, she crawls across the stage, all spider-like in that damned bridge pose. Can you picture this? I mean a little baby learns how to crawl across the floor and we go “ooo, look at that” and clap our hands. But if that same baby flips over and clunks upside-down over to grandma, the parents will freak out and throw all their DVD’s of “Alien” into the trash. When you see an extraordinary demonstration like this, of the marvel and majesty of the human body in motion, it is art. You get it at a gut level. 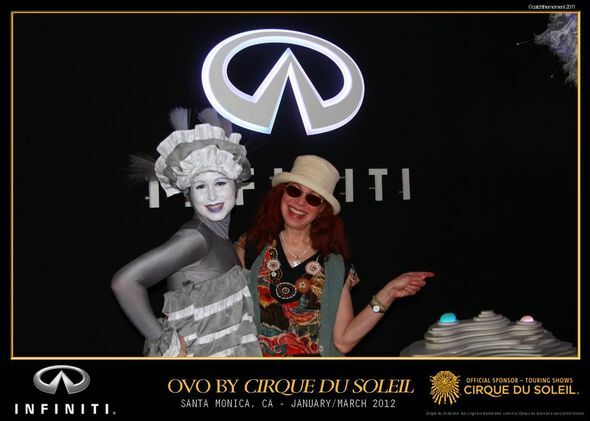 Analyzing the parts can wash the color out of the whole and leave it as gray as the Infiniti Lady. And badgering myself that “I can’t do that, I never will do that, I never could do that” like that, puts a little damper on things too. So I’m glad to report that the next morning I do my 25 minutes of yoga in our little living room with a cup of steaming oolong tea nearby and revel in this miracle of having a body that still moves and bends and feels. Something. “Blogland” has been a distant star for me the last couple of months. 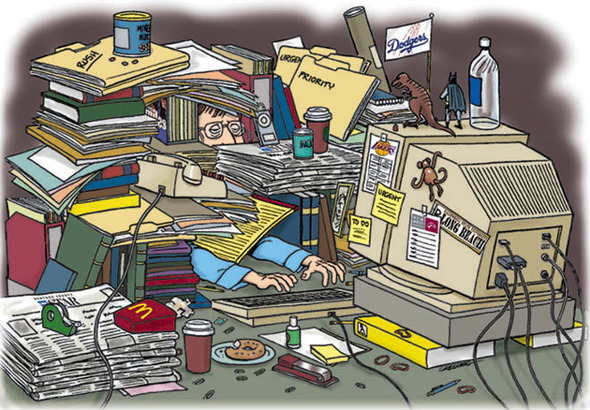 That’s what happens when you sink into the abyss of “overwhelm.” Like many of us, I feel like the guy who appeared on the old Ed Sullivan show keeping all those plates spinning in the air. When one begins to wobble and head south this desperate man rushes to the rescue, only to be distracted by a new wobbler at the end of the row. My ukulele group, The CC Strummers, enjoyed an extra special treat on Monday. And I mean extra special! 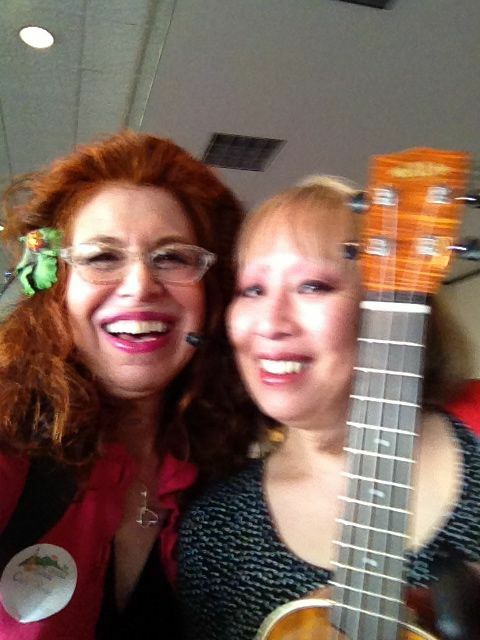 “Jumpin'” Jim Beloff, one the of seminal figures in the modern-day renaissance that is “ukulele,” visited the Culver City Senior Center for a teach-a-thon, storytelling and kanikapila (which means we all get to sing and play along). Enter Bette Midler. Although she was born and raised in O’ahu, she never learned to play the ukulele or any instrument for that matter. She began her career as the “girl singer” and of course grew into the extraordinary entertainer we know today. But since she could not accompany herself, she is dependent on other musicians to play for her as she performs. As Jim describes this sunshine moment he tells us that he sees that look in her face that he has seen a thousand times. It happens when a person picks up the uke, strums and sings a song, at the same time, for the first time. Ever.